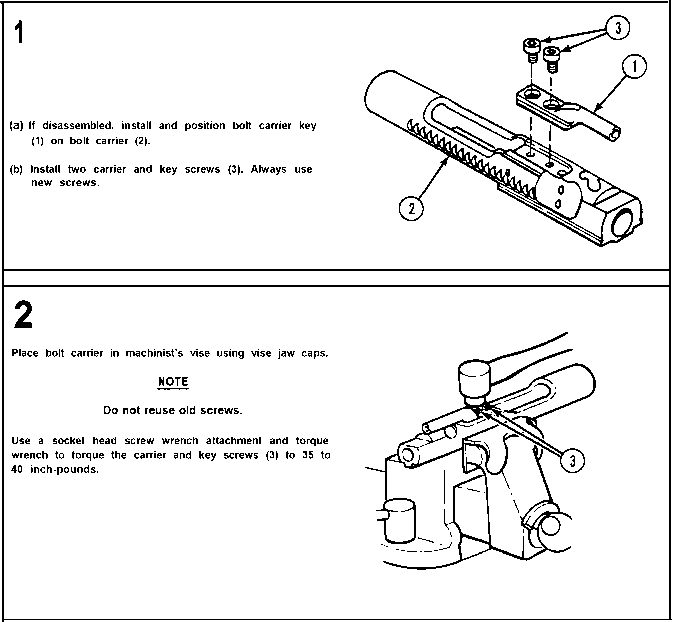 Do not disassemble the key and bolt carrier assembly unless the bolt carrier key or bolt carrier is defective. 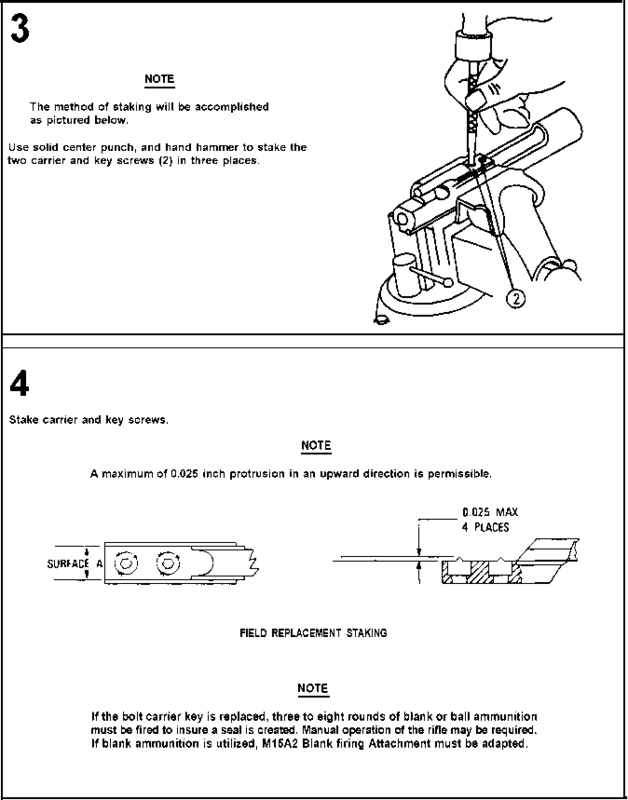 New screws must be used if disassembled. 1. 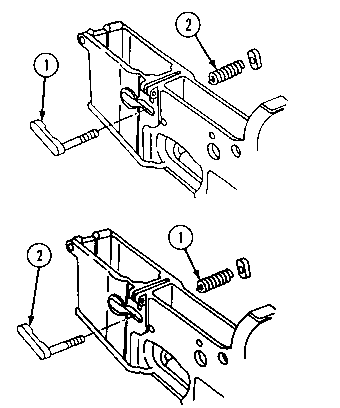 Using socket wrench handle and socket head screw socket wrench, remove the carrier and key screws (1). 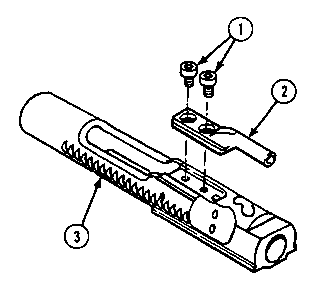 2, Remove bolt carrier key (2) from bolt carrier (3). 3-12. KEY AND BOLT CARRIER ASSEMBLY (CONT).